The instrumental ensembles of Austin College under the direction of Dr. Ricky Duhaime will present their annual fall concert, “An Evening of Chamber Music and Jazz,” on Monday, November 12, at 7:30 p.m. in Wynne Chapel on the Austin College campus. The event is free and open to the public. For more information, contact the Music Department at Austin College at 903.813.2251. This fall’s concert will consist of a first half devoted to the Austin College Chamber Orchestra, performing a Suite of Traditional Austrian Dances by Franz Schubert (orchestrated for winds and strings by Duhaime) and the striking Lullaby for strings alone by contemporary American composer William Hofeldt. The Chamber Orchestra is comprised of Austin College students, joined this semester by community members Greg Hendrix, Linda Milbourn, Jane Klausen, and Cathy Richardson. 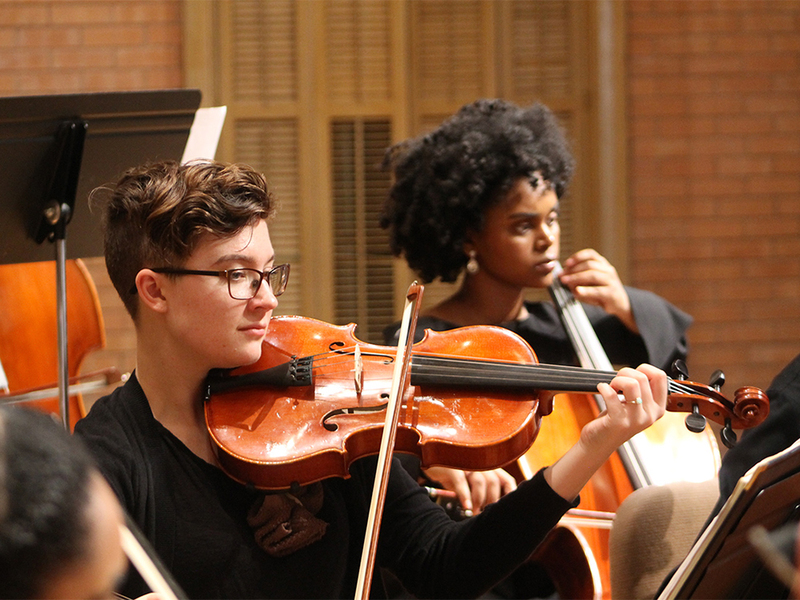 Students with majors and minors from across the college are represented in the group, with varying professional goals and a continuing interest in music. The Greater Texoma Jazz Ensemble consists of students, faculty, and adults from throughout the region. The performance will feature jazz soloists Xavier Shubert, alto saxophone; Chris Dickson and Paul Onspaugh, tenor saxophones; Jesse Speer and Matthew Gregg, trombones; Doug Hanson, John Vietta, Eric Brentzel, and Bob Symington, trumpets; Phil Pitts, piano; David Moore, guitar; and Richard Burleson, drums. In addition to its Austin College performance, the group has performed this fall at Denison High School and at Baylor, Scott and White Medical Center. Duhaime, Mildred S. Mosher Professor of Music, has been a member of the Austin College music faculty since 1978.